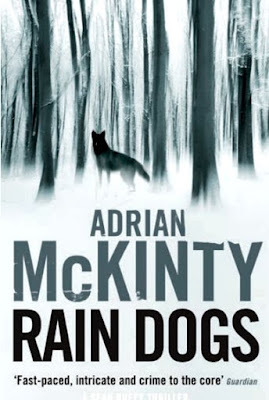 By Adrian McKinty. Serpent's Tail. $29.99. 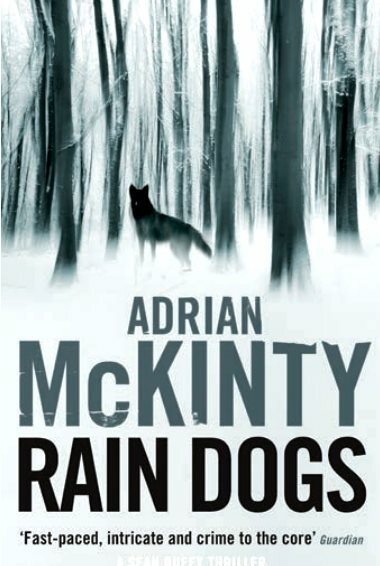 The release of a new Sean Duffy novel by Adrian McKinty is always one of the highlights of a crime reader's year. Born and raised in Northern Ireland, McKinty now resides in Melbourne where he writes some of the best Irish crime fiction currently being produced. Rain Dogs is the fifth book in his series about Duffy, a Catholic officer in the Royal Ulster Constabulary in the 1980s. Hated by both sides of the sectarian divide Duffy lives in the middle of a Protestant housing estate, where he has to check his car for bombs each day and deal with the anti-Catholic sentiment of his neighbours. The death of a young journalist in the snowy courtyard of Carrickfergus castle seems like an unfortunate suicide, but some of the details are not quite right. Despite instructions from above, Duffy and his team continue to sift through the clues and the links between the death and a diplomatic visit to Carrickfergus by a group of Finnish investors. Gradually they find evidence of a possible, high level conspiracy. This is a first-rate crime thriller that commands attention from the opening pages and keeps the reader gripped until the end. The writing is tight and the story is well plotted... The tale unfolds at a good pace with McKinty ably balancing the steady unfolding of the investigation, including some interesting forensic detail, with episodes of exciting action and a suspenseful trip to Finland. "As we were on the final approach we could see a riot kicking off along the Falls Road … we watched Molotov cocktails arc through the air and crash into riot shields. One of the joys of landing at Belfast." McKinty's wry sense of humour is also well on display and he peppers his story with small details that enhance his depiction of the period, but which will also darkly amuse readers...A funny & very engaging tale that sets an early high standard for this year's crime fiction. Highly recommended.